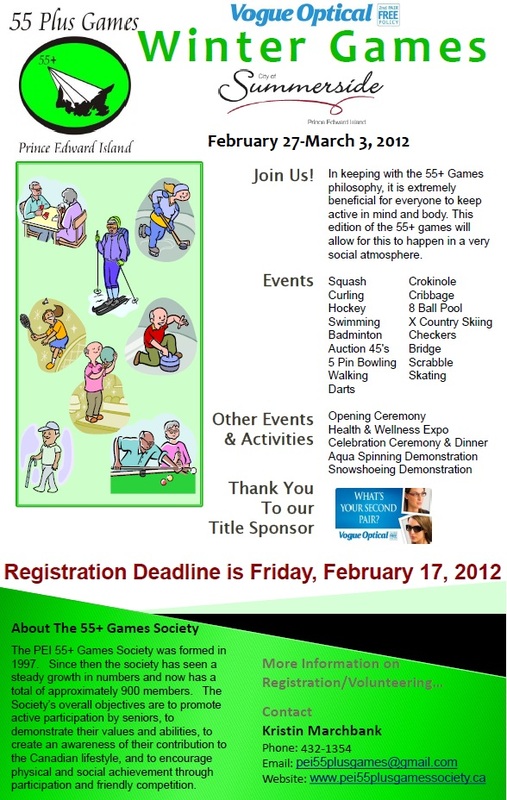 The Vogue Optical PEI 55+ Winter Games will take place in Summerside, February 27-March 3, 2012. The host committee is inviting all Islanders 55+ to Summerside to take part in this event which mixes social events with some physical competition. Registration forms are now available. 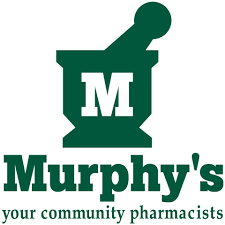 They can be printed off the website or picked-up at the Canada Games Fieldhouse in Summerside (next to Credit Union Place), at the East Prince Seniors Initiative, or at the provincial office at 40 Enman Crescent in Charlottetown. All former participants will be e-mailed or mailed a copy directly. The deadline to register is February 17th. New events for this year include demonstrations of aqua spinning and snowshoeing as well as women’s hockey.